A credit score signifies your trustworthiness as a borrower, based on your credit history. Your credit score is based on your credit history and debt - using details from your credit file. Each credit reporting bureau has its own method for assigning credit scores. For example, Equifax, a popular consumer credit reporting agency in the United States that acquired VEDA in Australia, assigns a score between 0 and 1200. This is known as the Equifax Score and is calculated after considering your credit history and related details. Banks and creditors use your credit score when deciding whether to lend you money or approve your loan application. A good credit score establishes your reliability as a borrower. A credit score is a numerical digit that helps you understand where you stand as a borrower, while a credit file is the overall summary of your credit history. Being a numerical representation of your borrowing capacity, your credit score is used by banks and lenders throughout the country to get a snapshot of your financial status. Credit scores can also provide reassurance to borrowers before they approach a lender for a new loan or credit card. 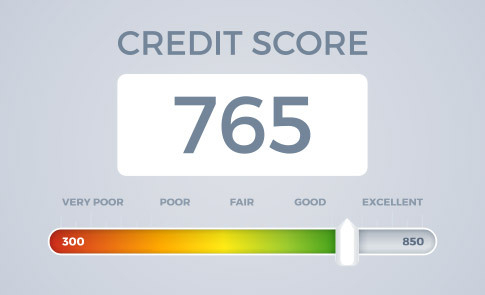 Your credit score can be accessed by lenders, banks and utility companies. A decent credit score indicates that you are likely to pay back your loans, credit cards and bills. One should strive to maintain a good credit score to be considered a good risk to a lender. Get your credit score for free. 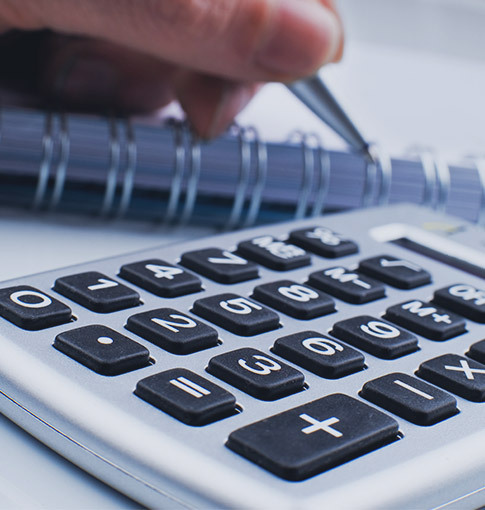 Different credit bureaus calculate your score by assigning unique weights to various factors. Number of credit accounts: People open and maintain multiple bank accounts for different purposes. This might be an indication of past credit issues and could impact your credit score. The same applies to your number of issued credit cards. Number of transactions: A high number of credit transactions in the past few months will increase the records in your credit history, which might negatively impact your overall credit score. Number of loan applications: A high number of loan applications can lead to further scrutiny and a lower credit score. Frequency of transactions: Your credit score can also be affected by your spread of credit transactions in the past few months. If many transactions have occurred in a short time, it might lead to a lower credit score. Repayment history: The number of delays or late payments might negatively influence your credit score. 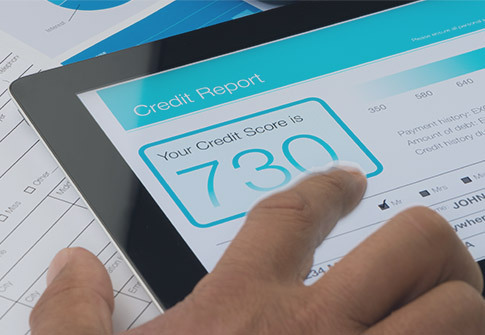 Credit infringements: Serious issues, such as defaulting on a loan or line of credit, bankruptcy, fraudulently obtaining credit, stopped payments and delinquency can negatively affect your credit score. You are a reliable borrower and among the top 20 percent of the credit-active population of Australia. Your odds of keeping a clean file are five times better than the average Equifax credit-active population. Although you had your share of financial misses, you still have a decent score. Your chances of keeping a clean credit report are two times better than the average Equifax credit-active population. Your odds of keeping a clean credit report are better than the average Equifax credit-active population. It’s less likely you will face an adverse event in the next 12 months. It’s likely that you might experience an unfavourable event such as a default, bankruptcy or court judgment in the next 12 months. It's more likely that you will experience an unfavourable event such as adefault, bankruptcy or court judgment in the next 12 months. Personal details: Your age, duration of employment and the number of years at your current address. Age of credit history: A newer credit file with only recent transactions is treated differently to a credit file with a longer credit history with older transactions. The longer your credit history, the more information is available to accurately calculate your credit score. Commercial credit history: If you own a business, this includes your business location, number of years since the inception of your business and related credit history information. Check your credit report: Ensure there are no errors (e.g. late payments) reported incorrectly in your credit file. Address any errors with the credit bureau. No overdue debts: Be sure to pay your bills on time. Set up payment reminders through your banking portals or personal devices. Reduce your number of loan/credit applications: Submit credit applications only after preparing and arranging the relevant documents, so you can be confident of your approval, and lessen your number of submitted applications. Reduce your debt: Try to decrease your existing debt to maintain a good credit score.